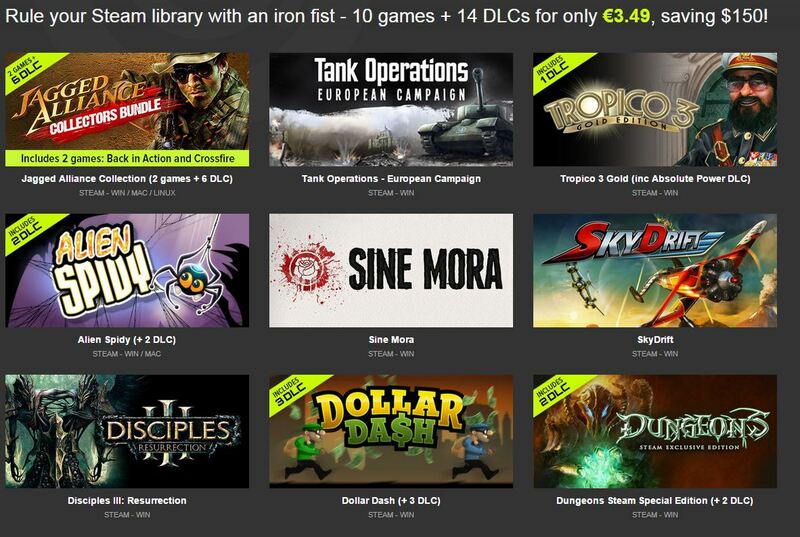 I got already BIA and the DLCs and Tropico, but anything else in here worth buying? That is one sick bundle. I don't remember any other bundle on any site that had so many good titles all in one. 150$ saving, wow. I just looked at my Steam and I own all of the above except Sine Mora... oh well. Buying bundles and never getting to play games. I am a hoarder. Oh well, maybe someone wants it.